#FrugalFridays short review for March 9, 2018. Alex is accused of shooting unarmed people and blondes are being abducted for a dark web snuff film. Interesting technology, dramatic courtroom scenes and great sound effects in the audiobook enliven the 25th entry in the series. 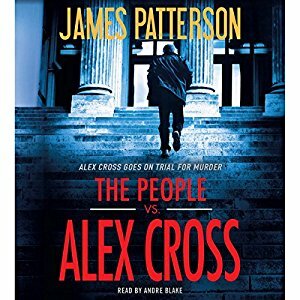 The only Patterson series I still read is a quick and entertaining listen or read. 3 stars for the book alone but 4 stars for the audiobook due to the great narration.